For JobTestPrep FAQs visit this page. 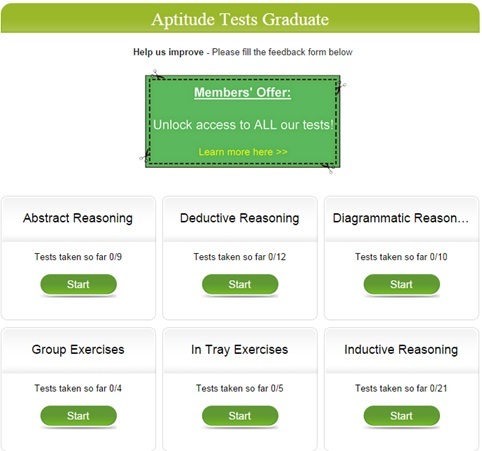 In this article, we would like to walk you through on how to complete a practice test once you have become a member of their site, so you will have a better understanding of how their tests work. Depending on what test packs you have purchased, the home page will list all of the tests that you have access to. We recommend you purchase the premium membership to give you unlimited access to all of JobTestPrep’s tests and save you money during the entire application journey. 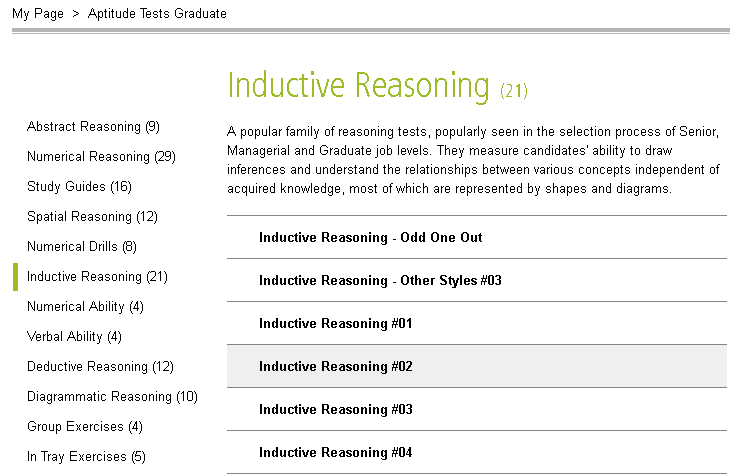 Let’s have a look at what tests are available in the Inductive Reasoning pack. There are 21 tests available. Timed Test: This test mode is timed, and you will be given a score and at the end and a chance to revisit questions that you did not do or not answer correctly. 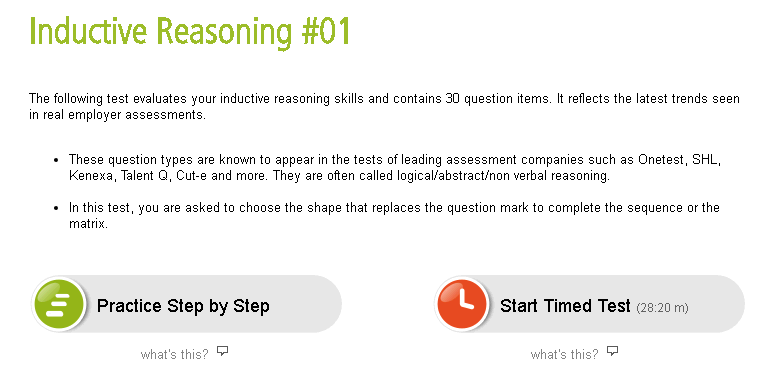 Step by Step: The step by step test mode is not timed and you can view the explanation for each question straight away. We recommend you to view this only after you have attempted the timed test. The following screenshot shows a sample question in this test. Note that part of the question has been erased in the screenshot because it’s a premium content. There is a timer on the top right corner to show you how much time has elapsed. Clicking on the “Next Question” will lead to the next question. You can skip a question and come back to it later if you wish. 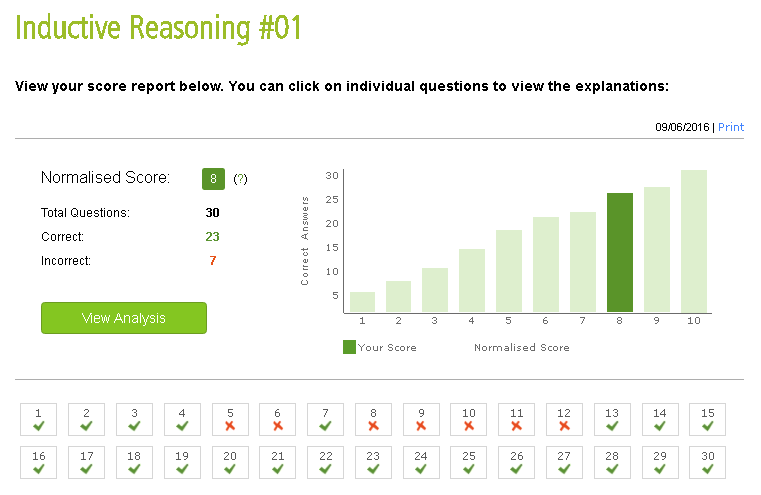 Upon submission, you can view the summary report which shows your score and which questions you got right or wrong. 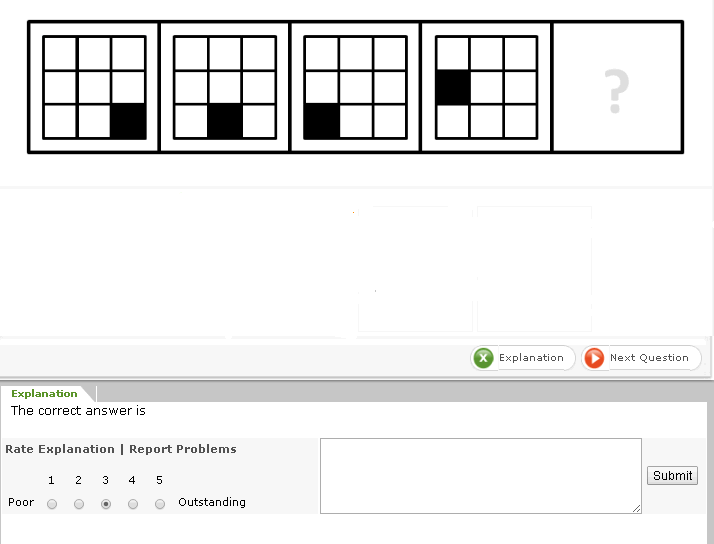 In the step-by-step test mode, you can click on the Explanation button to find out which answer is the correct one and the explanation for the answer. As you can see, JobTestPrep practice tests are very comprehensive and provide a perfect practice experience for users. Whether you are prepraing Onetest, SHL or Kenexa tests, they have the tailored packs that suit your needs. You can get hold of their psychometric tests here and gain an edge over your peers in the test.